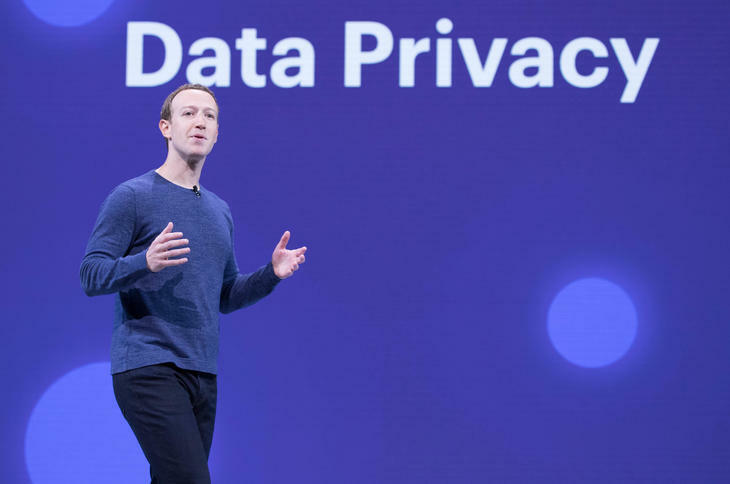 When the Cambridge Analytica scandal came out, it did more than just shake up Facebook, it stirred the conversation about privacy and brought it front and center. Privacy is a huge subject especially when it plays on the fear of losing it. In a world where hacking has become mainstream, people’s identities are stolen and online fraud has never been easier, it’s clear to see how this fear can spread easily. But have we taken it too far? We have become a society that can’t live without our social networks, they are part of our daily lives, we wait for new features, spend a huge chunk of our days on them and we get to use them for free, yet the slightest bug or breach and we turn our backs on them without a second thought. We become judge and executioner without truly understanding the issue, why it occurred, and who is at fault. You might not like or agree with me, but it’s time to put down your pitchforks and take a moment to understand who your true ogres are. As a digital marketer I have used many tools to target and advertise various products online. Platforms such as Facebook, LinkedIn, Twitter, and Google all offer marketers a vast array of advertising tools and targeting methods, from showing up in a person’s search, to their favorite websites, newsfeeds, and even videos. In fact, it’s hard to find an online placement that doesn’t contain some form of advertising. Whether you like it or not, the truth is advertising is what fuels the internet. Without it we wouldn’t have a Google, a Facebook, or many other sites most of us use daily, they simply wouldn’t be able to sustain themselves. Imagine if you had to pay a monthly fee for every site you wanted to use, would you still use as many as you do? I think it’s pretty clear that advertising is a necessity to sustain the freemium online world we have grown accustomed to, but that doesn’t help mitigate the fear we have over our privacy. There are many conspiracies when it comes to user data and how it’s acquired such as companies listening to our phone calls and reading our messages, but not many of us understand how it really works, what our data is used for and how. The most basic and fundamental understanding is that while companies do want to present their customers with individual messaging and content, they do this at scale, meaning if anyone was “listening” or “reading” your calls and messages it would be a machine not a person. There’s a persistent idea that somewhere someone is sitting and listening in on your call, but with millions of users that would require a huge staff dedicated only to that. In reality, if such practices are done, they are all machine based. The machine listens or reads keywords, those words would then trigger ads that contain the same or similar words. It’s as simple as that. This idea of an actual person listening in, comes from spy movies where the NSA is listening in to a conversation usually between two terrorists. While that technology is real, you don’t have to worry about it unless you’re a terrorist, as this method would be extremely costly to try and sell you a can of Coke. So how does it work with online advertising? Most of the data collected and then used to create targeting segments is provided by the users themselves. Things such as your online activity, sites you visit, things you buy online, pages you like on Facebook, and videos you watch on YouTube all help publishers group you into segments. You could be on various lists for a number of publishers and in various segments. Some data is also sourced via third parties to provide publishers with extra segments they might not have, this could include data such as offline purchases and other types of segments — such as a political party or organization you belong to. These partnerships are common and generally have strict contracts and roles between the publisher and provider. When advertisers such as myself want to advertise a product, we generally select the platform that makes the most sense. For example, if it’s a B2B product I may choose to advertise on LinkedIn, if it’s a lifestyle product I may choose Facebook and so on, as each platform provides me with segments. Say I wanted to target people who are likely to buy a rap CD, I could select segments such as “Rap,” “Dr Dre,” “Eminem,” etc. Facebook would then show my ads to people who are in these segments based on pages they liked, post they commented on, and other such factors. I could also narrow my audience down by age, gender, location, and various other specifications. What I can’t do on Facebook or any other platform is where I think the confusion begins. I can’t target a specific person, I can’t specify to Facebook that I want to target all my ads to “James X” who lives at X address. All an advertiser can see is segments, no names or personal information. The reason why we can’t see that isn’t just because it would be a serious breach of privacy — but also because there is no real use for it. As an advertiser I want to advertise at scale to people most likely to purchase. Selling one CD to James X doesn’t help me achieve that. Is it completely impossible to target a specific person? One loophole to personal targeting is email lists, if you have a list of emails, for example, you can target your customers or people who signed up for your newsletter with ads. But even here you’d have to acknowledge that advertisers have the right to use the person’s email, and already received consent from them. However, you can’t just select one person as the list size usually has a minimum of 100-1,000 people, depending on platform. Does abuse of privacy happen online? Yes, it definitely does. But if you understand how things work you can make more informed decisions on what you as a person can accept. Personally as an advertiser it makes a lot of sense to be able to target the segments of people who would be most interested in the product/service offered, as a user, I see the same value. I will see ads no matter what — that’s how the internet is sustained — so I would rather see ads that are tailored to me than random ads which wouldn’t interest me. Should online privacy really be such a big issue? Of course, how our data is collected, stored, and used is extremely important and should be regulated and monitored. But we also need to have a better understanding of how it actually works, and that the same data we’re afraid of being used against us can also be used for us. If our bank gets robbed, sure we get upset with them for not having enough security and for losing our money, but we still understand their value. We don’t call for all clients to leave the bank, we call for the police to find the robbers and bring them to justice. Let’s face it, Facebook got robbed, we don’t like it, we are not happy with it, but should they really take the fall for being a victim of a contractor they trusted? Or should our anger be turned towards those who take advantage of security flaws and abuse them. Personally, I will be keeping my Facebook account!